The Postal Service is saluting the U.S. 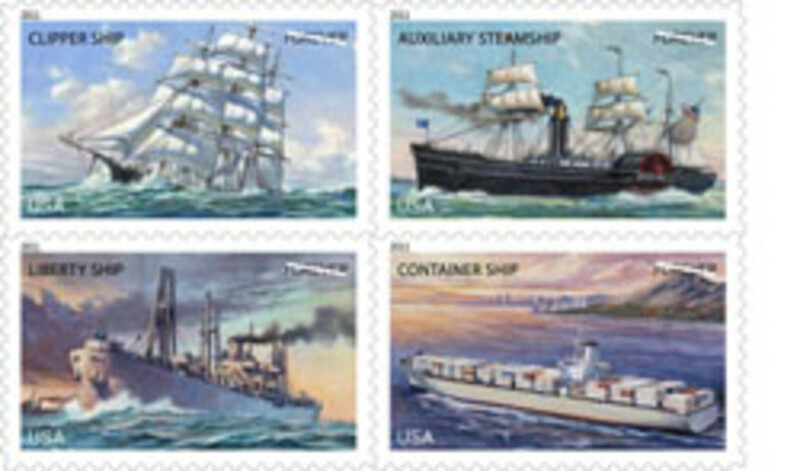 Merchant Marine by issuing 60 million “forever” stamps — a set of four, each depicting a different vessel from the U.S. Merchant Marines. Drawing upon contemporary lithographs of the 19th century ships and photographs of the 20th century ships, illustrator Dennis Lyall created the four stamp designs. Text on the back of the stamp pane describes the types of vessels. Customers have 60 days to obtain the first-day-of-issue postmark by mail. 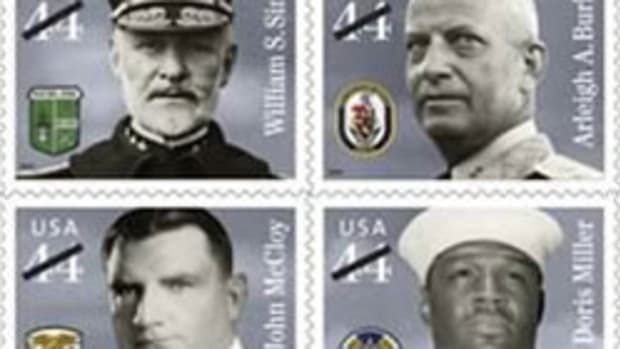 They may purchase new stamps at local post offices, at usps.com/shop or by calling 800-STAMP-24.